Pad Man is making a lot of noise since its announcement. The latest buzz is that its Indian theatrical and overseas rights are reportedly sold to Sony at a record price, who were impressed to see few rushes of the film recently. Akshay’s wife, Twinkle Khanna produces the movie under Mrs Funnybones Movies Production. Directed by R. Balki, the film has an interesting cast in the form of Akshay Kumar, Sonam Kapoor and Radhika Apte in the lead roles. The much-awaited film is scheduled for a 2018 Republic day release. 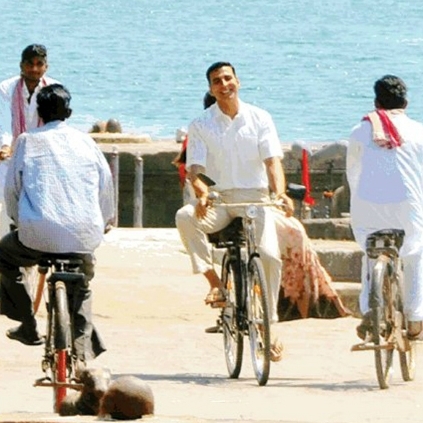 Akshay Kumar started the year with Jolly LLB-2 which entered the 100 crore club. And, towards the end of the year, he will be having another big release, 2.0 for Diwali. People looking for online information on Akshay Kumar, Pad Man, Radhika Apte, Sonam Kapoor will find this news story useful.